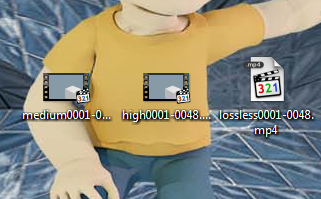 I get finished videos that do not have thumbnails in windows explorer. They end up playing fine in VLC but won't upload into Wallpaper Engine. In the past I've actually given up and exported videos as AVI and then used a converter to convert them to mp4. This obviously reduces the quality and on the video I'm currently working on I don't want to sacrifice quality. Looking through the forums the only advice I can see is to use H264, and any mp4 file should work, so I'm wondering if anyone has any ideas on this end. Any videos with thumbnails upload fine but ones without are what is causing the problem which leads me to think it may be metadata or encoding? I see issues on the steam forum with other people experiencing similar issues and it turned out to just be a local thing, updating video driver fixed it for them (done that and no luck) so I am open to ANY ideas, no matter how out of the box. I made some tests but the lossless output did not show the thumbnail. 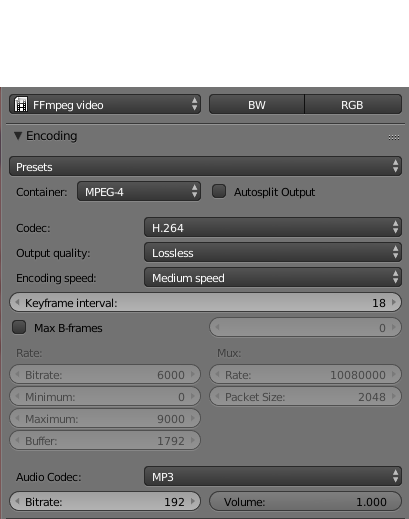 I think the best solution is using the high output encoding. Not the answer you're looking for? Browse other questions tagged export video-sequence-editor video encoding or ask your own question. Why are my video renders pixelated?